No too big and not too small. 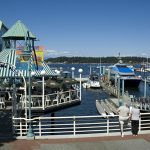 With a population of about 85,000, Nanaimo still has that small-town-feel, yet is the service hub for the mid and north Island with the resources and amenities of a regional center. 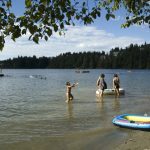 Nanaimo has great schools, fantastic recreation and more than enough shopping! Quality of life is fantastic here on the Island. Many families enjoy skiing at Mt Washington, mountain biking and hiking local trails, and kayaking or fishing along our beautiful waterfront and up the coast. We have an active arts community with numerous galleries, studios and performance spaces and excellent athletic, sports facilities and recreation centers. 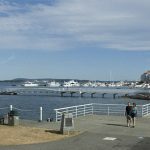 If you ever yearn for a bit of the big city, Victoria is an easy day trip by car or train and Vancouver is a ferry ride or 20 minute float plane ride – harbour to harbour. Speaking of transportation – our local airport now has regular direct flights to Calgary and Seattle, along with our regular link with Vancouver International. There are more destinations soon to come.